For the first time ever, the New York State Assembly’s one-house budget proposal included more expansive plans to approve the use of medical marijuana. In a recent poll 88% of New Yorkers felt that medical marijuana should be legalized, and both republican and democrat senators are listening. In order to make a decision on whether a drug should be available, we look to the science (peer-reviewed research) to help us decide whether the benefits of the drug are worth the risks. Some studies show marijuana is effective for pain relief (especially the neuropathic pain which accompanies disorders like Multiple Sclerosis) and for improving sleep for those with painful disorders. Other studies also found that smoking marijuana helped to increase pain tolerance, with a greater effect observed for those who were not novice users. Despite the apparent benefits, there are short and long-term adverse effects. Marijuana can cause anxiety and panic, and, at very high doses, psychotic symptoms. Patients using marijuana should not drive while taking it. Long-term users can show signs of dependence and subtle cognitive impairment. Marijuana may be useful in a variety of painful conditions, but most studies currently available are not large enough to draw useful conclusions. Legalization will allow larger scale studies to be done so that we can be more confident about both the positive and negative effects. Like any other potent drug, it needs to be carefully regulated and only used when appropriate. Hosking, R. D., and J. P. Zajicek. “Therapeutic Potential of Cannabis in Pain Medicine.” British Journal of Anaesthesia 101.1 (2008): 59-68. Oxford Journals. 29 May 2008. Web. 14 Mar. 2014. Rog, David J., Turo J. Nurmikko, Tim Friede, and Carolyn A. Young. “Randomized, Controlled Trial of Cannabis-based Medicine in Central Pain in Multiple Sclerosis.” The Official Journal of the American Acadmey of Neurology 65 (2005): 812-19. Neurology. 27 Sept. 2005. Web. Milstein, S. L., K. MacCannell, G. Karr, and S. Clark. 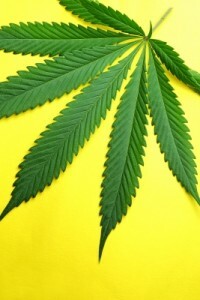 “Marijuana-produced Changes in Pain Tolerance. Experienced and Non-experienced Subjects.” International Pharmacopsychiatry 10.3 (1975): 177-82. PubMed. Web. Kondrad, Elin. “Medical Marijuana for Chronic Pain.” North Carolina Medical Journal 74.3 (2013): n. pag. NC Medical Journal. Web. 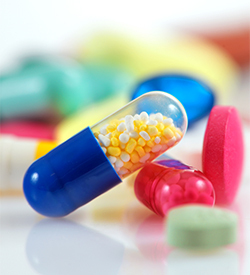 Anti-seizure, or anti-epileptic, medications have commonly been used to treat pain, especially nerve-related pain. Examples include pregabalin (Lyrica), gabapentin (Neurontin), topiramate (Topamax), and carbamazepine (Tegretol/Carbatrol). The exact mechanism in which these medications work is not completely clear. Anti-seizure medications help decrease hyperactivity of the nerves that cause seizures; therefore, it is thought that these medications can have a similar effect with decreasing the activity of the nerves that cause pain. As with all medications, there are side effects – most common side effects are dizziness, drowsiness, nausea, vomiting, blurred or double vision, and weight gain. 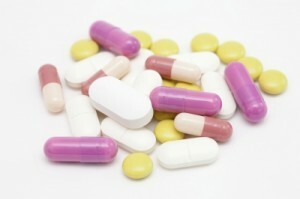 Therefore, if you are not having reasonable pain relief with one of these medications, it shouldn’t be continued. It is generally a good idea to stop these medications slowly, since abruptly stopping in someone who is seizure prone could cause a seizure. Do you have or used to have high cholesterol? Statins are a class of drug used to lower the amount of cholesterol produced by the liver. You might recognize some of the more common brands like Lipitor (Atorvastatin Calcium) or Crestor (Rosuvastatin Calcium). They are commonly used for patients with high cholesterol, diabetes, or those with a family history of heart attacks. Recent data shows that approximately 5% of patients maintained on statins experience muscle pain and weakness. Muscle pain is one of the top reasons patients choose to stop taking statins. If you are taking a statin and are experiencing muscle pain or weakness, you may want to talk with your doctor about adjusting your dose or finding an alternative treatment. Jacobson, Terry A. “Toward “Pain-Free” Statin Prescribing: Clinical Algorithm for Diagnosis and Management of Myalgia.” Mayo Clinic Proceedings 83.6 (2008): 687-700. Science Direct. Web. Hypothyroidism and muscle pain – are they related? 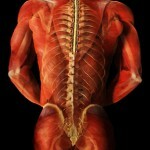 You can experience muscle pain for many reasons. We discussed trigger points in an earlier blog (see www.normanmarcuspaininstitute.com/what-are-trigger-points/ to recap your memories). A common medical problem, abnormal activity of the thyroid gland, can cause muscle pain. Muscle symptoms associated with hypothyroidism are often described as a cramping, stiffness or weakness. Hypothyroidism is generally treated with hormone replacement therapy, which means you’re taking synthetic (man-made) hormones to replace the ones that the body isn’t producing. In one study, almost 20% of patients complained of joint and/or muscle pain, of which 50% had relief in symptoms after starting thyroid replacement therapy. So if you have been diagnosed with hypothyroidism or have symptoms of hypothyroidism and also complain of muscle pain, it’s very possible that the two are related. Ask your doctor to check it out. Carette, S., Lefrancois, L. Fibrositis and primary hypothyroidism. J Rheumatol. 1988; 15(9):1418-21. 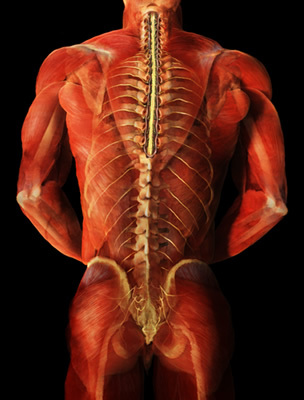 Nerves connect muscles to the spinal cord. When something stimulates your muscles, for example, if someone were to press on your arm, the muscle sends a message via the nerves first into the spinal cord, and then up to the brain. Once the brain receives the message (in this case, that there is pressure on your arm), then your body is able to perceive sensation. This all happens in a split second, so that your brain receives the message immediately after the stimulus appears. When the sensation is strong enough it no longer feels like pressure or a simple touch; it is experienced, rather, as pain. Once the brain processes the message, then you become aware of pain in your muscle. 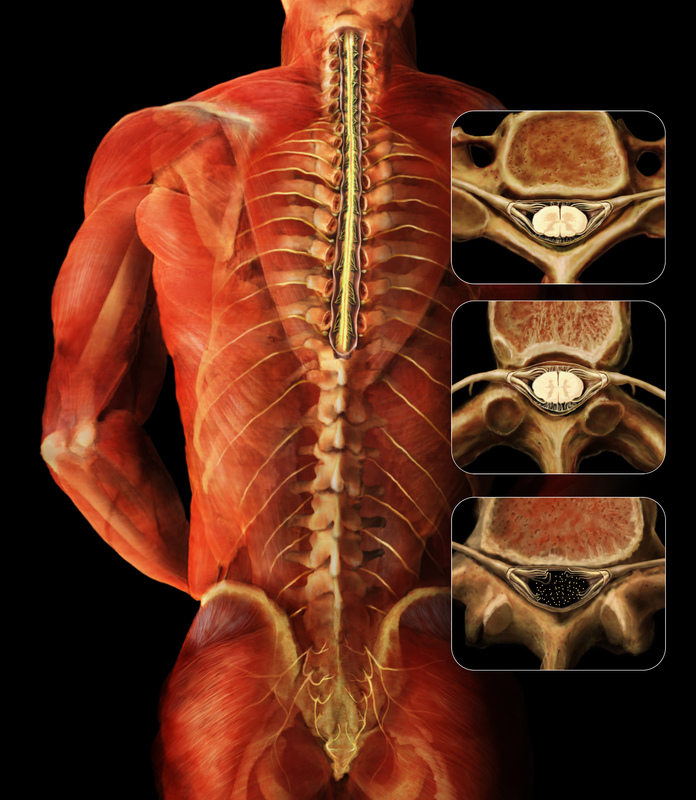 We generally don’t think of muscles as a cause of pain. Sure, we know that after exercise or playing ball we can have muscle soreness, but when pain persists we often think it is coming from nerves, joints or the spine. Believe it or not, muscles (and other soft tissue) are the most common reason for pains such as lower back pain, neck pain and shoulder pain. The brain gets information from the body about pain from specialized nerves called nociceptors that respond to tissue damage. Trauma, overwork, and over-exercising cause low oxygen and too much acidity in the muscle. These changes, along with other chemicals that are produced when the muscle is damaged in any way, stimulate the nociceptor. When a stimulus as strong enough it causes the nerve cell to produce an electrical impulse that is sent into the spinal cord and then up to the cortex, the part of the brain where we perceive pain. 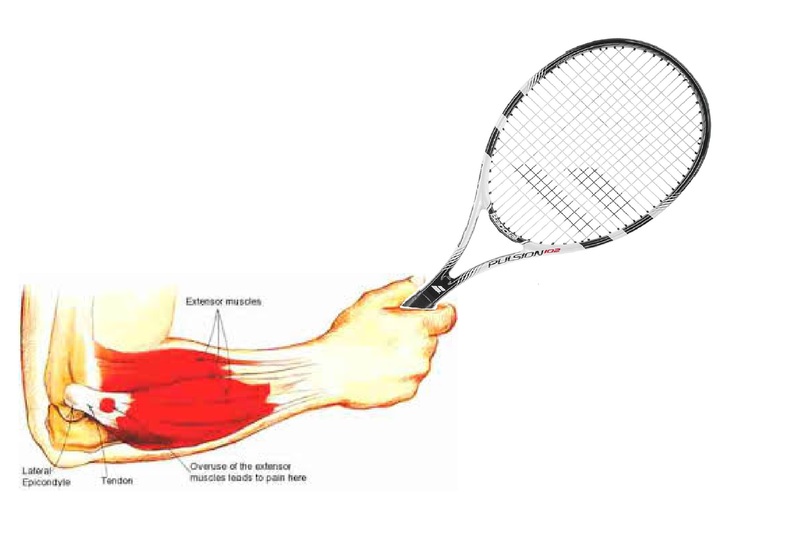 There are actually more nociceptors in the muscle attachment sites (the ends of the muscle where it attaches to the tendon and the tendon attaches to the bone) than in the muscle tissue. That is why if you have pain originating in muscles you may be more aware of the pain close to a bone than in the middle of the muscle. 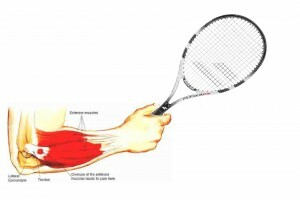 Any kind of injury releases substances from damaged muscle and surrounding tissue that stimulates the nociceptor. If the nociceptor gets enough stimulation it creates an electrical discharge which travels down the nerve and ends up in the spinal cord. 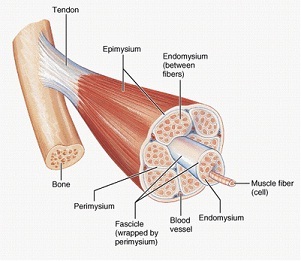 Muscle nerves that have been stimulated repeatedly become more sensitive to additional stimulation. They are called sensitized nerves and they will more easily produce electrical activity with even non painful events such as any contraction to move the muscle. That is why when an injured muscle is used it may cause pain. That is why if you have strained muscles for any reason you may feel pain from every day movement. Nociceptors are key structures in the perception of pain.